It turns out that I am not the first or only person to be confused about positive parenting. Most folks think it’s about parenting without spanking. But positive parenting goes so much deeper than that. Positive parenting is focused on developing a strong, deeply committed relationship between parent and child based on communication and mutual respect. Positive Parenting focuses on teaching children not just what but also why. 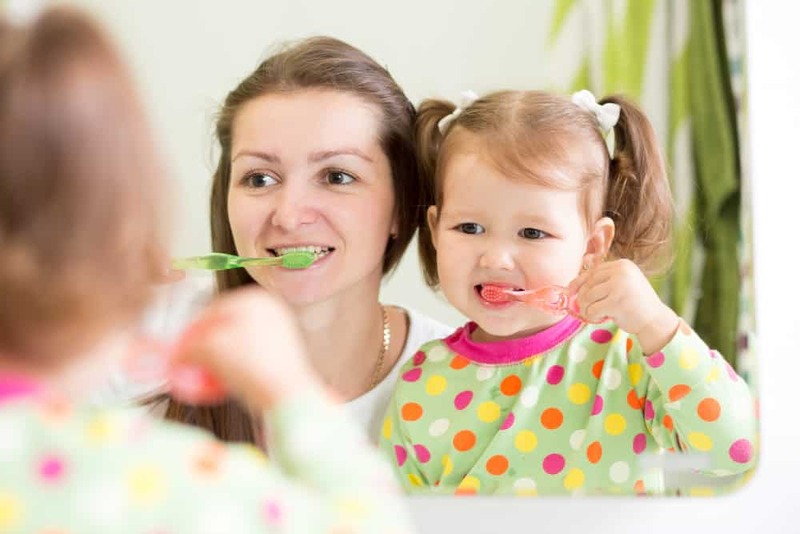 Positive parenting means training children toward self-control. Rules and consequences are laid out, discussed often, and followed through. Parents focus on helping children internalize discipline, rather than obey orders based on fear of punishment, in order to develop self-discipline. Parents use active listening to understand children’s thoughts. This allows parents to correct misunderstandings or mistaken links of logic. Jim’s 10-year old-son Eric comes to him with a problem. Robby the next-door neighbor (who is 12 and bigger and stronger than Eric) took Eric’s ice-cream cone along with Eric’s change from a five-dollar bill at the ice cream truck. Jim listens to Eric and hears his son’s frustration, anger, and feelings of helplessness. Jim repeats back what he hears and asks Eric how he wants to handle the situation. Eric tells Jim he wants to confront Robby, but that he wants Jim nearby. Jim tells Eric he thinks this is a good idea and to let him know when he is ready. Jim does not mention, however, that Eric took money from his piggy bank without permission, which goes against a family rule. Nor does Jim mention Eric getting ice cream when he’d been restricted from sweets because he took cookies at Grandma’s house without permission. Two hours later, Jim stands by Eric as he confronts Robby and asks for his five dollars back. Robby’s Dad overhears the conversation and makes Robby give Eric ten dollars for pain and suffering. He also discusses bullying with Robby and Eric. Jim goes back into the house with Eric and tells him how proud he is at how Eric has handled the situation. Jim then sits down with Eric to discuss the two rules he broke and how he could avoid making bad decisions the next time. He also adds a week of no sweets and confiscates Eric’s ten dollars and piggy bank for a month for breaking the rule. Two weeks later, when sweets are reinstated, Jim takes Eric to his favorite ice-cream place and they have a long talk to plan out an upcoming a fishing trip. Jim listens to Eric, concentrating on the issue at hand. Jim offers Eric his support while the boy handles his issue. Jim places his relationship with Eric, and the boy’s current problem, before disciplining him for his wrongdoings. Jim doesn’t ignore Eric’s wrongdoings, but points them out and talks them through with the boy at an appropriate time. Jim ensures that Eric experiences consequences for his behavior. Jim refocuses both of them, father and son, on their relationship, after consequences are served. So, how does one apply this example to using positive parenting in everyday life? We begin by changing the focus. We keep in mind the goal: to help children develop the tools they need to become healthy, thoughtful, and authentic adults. Instead, children cross the line to see what will happen. They push the boundary until they find the fixed line. Once they find it they no longer need to test that boundary. The issue arises again only when the line moves and children must start the process all over again. Parents need tools to help them set boundaries and keep them in place so children can learn where they are and move on. There are several tools that can be used for this purpose. The one I recommend is the Family Covenant. The Family Covenant is a set of rules and consequences the family develops together. The rules and consequences are written and posted as the Family Covenant. Once the covenant is established it must be reviewed and learned. Moral Development—developing empathy and the ability to decipher right from wrong. Each area develops along a particular path from birth to adulthood depending on the child’s personality, temperament, and experiences. Each area has a beginners, intermediate, and advanced level. Once parents have a solid understanding of each level they are better able to help their children grow. In addition to the six domains, parents can benefit from knowing about Erickson’s five areas of psychosocial development from birth through adolescence. Trust vs. Mistrust (birth-18 months): children learn to trust the world. Autonomy vs. Shame and Doubt (18 month-3 years): children show they are separate people and begin to do things for themselves. Industry vs. Inferiority (age 6-12): children want to feel successful in everything they do. Especially in school, children want to feel they are learning and growing and that adults are pleased with their accomplishments. Identity vs Role Confusion Adolescence: children learn to pull away from Mom and Dad and begin to craft their own brand of adulthood. Each stage of psychosocial development can have either a positive or a negative outcome. Parents can benefit children by providing them the tools they need to develop positive outcomes. Understanding both the domains of development and the psychosocial stages of development gives parents the tools they need to help children thrive. Creating a nurturing environment begins with meeting a child’s basic needs for food, clothing, and shelter. Nurturing, however, goes beyond physical needs and extends to offering acceptance, love, encouragement, and true discipline. Acceptance—children need to feel valued for who they are. It is the concept of: No matter what I do, whether right or wrong, I am loved. Love—love is giving of yourself to someone you care about. 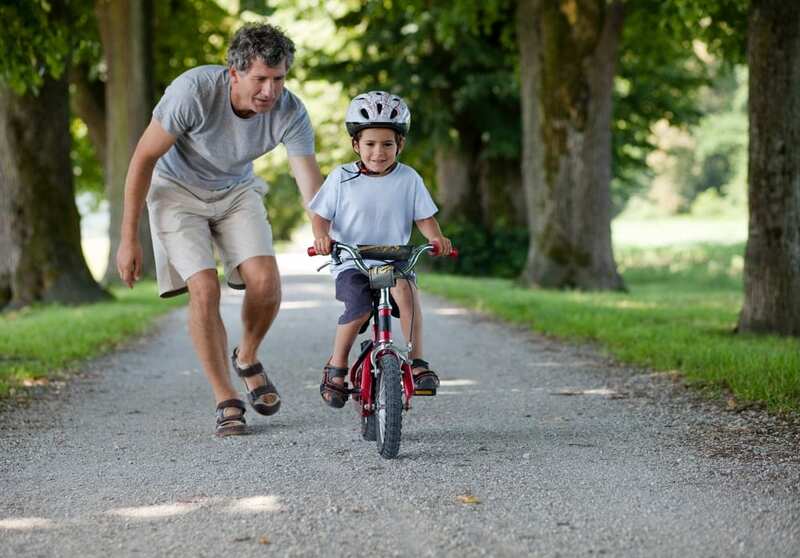 Parental love is acted out by giving time, care, and undivided attention to a child in every facet of his life. Parents show love by helping children positively overcome every social conflict. Encouragement—is being supportive in concrete ways that help children avoid or correct mistakes. Encouragement includes helping children figure out what they’re good at and encouraging them to pursue passions. 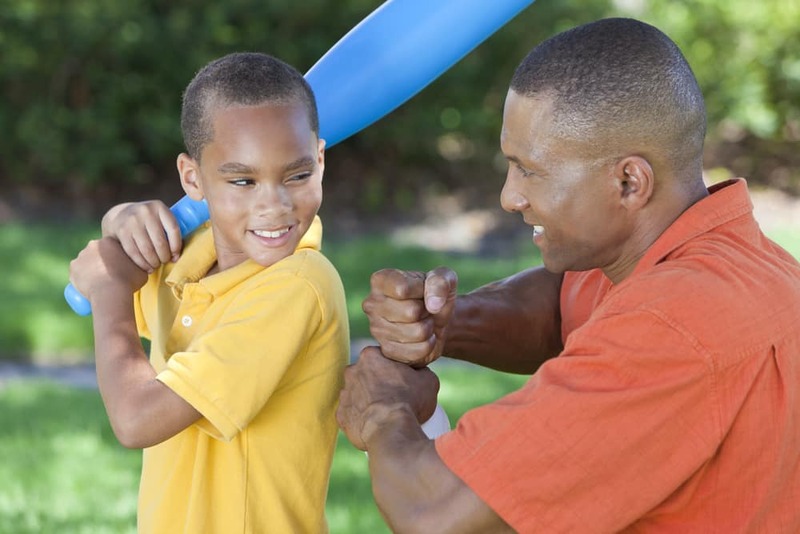 True Discipline—is using parenting tools to teach children self-control. Self-control is the ability to control one’s actions no matter what. Ensure children know the rules and the possible consequences of breaking them. Help children figure out how to make decisions that help them maintain rules while doing some of the things they enjoy. Re-establish the relationship by doing a relationship-building activity. Take a walk together. Go for ice cream. Read a book. Parents in delivery rooms holding newborns for the first time, don’t realize the bulk of the relationship they will have with these beautiful new people will be as adults to adults. Yet this is a fact. Moreover, the relationships parents have with adult children is completely based on the relationships they build as their children are growing up. The Harry Chapin song, Cat’s in the Cradle, perfectly illustrates this concept. The song lyrics speak of a father too busy to spend time with his son as the boy grows up. In his adulthood, the son is too busy to spend time with his now retired and elderly father. The son has learned from the father to be too busy to spend time with loved ones. As parents are raising their children, they need to remember they are building relationships with lifelong repercussions. Positive parenting defined is about finding and using tools to help adults shepherd children through the six areas of development. 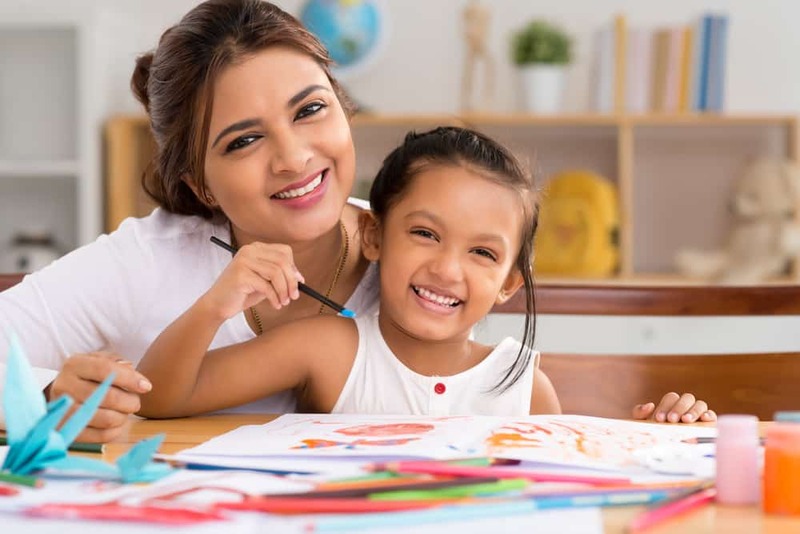 At the same time, positive parenting is giving children tools to overcome obstacles in positive ways throughout the stages of their psychosocial progress. Finally, positive parenting is about creating a loving, positive, and supportive environment that allows children to grow and develop into adults who can turn around and pass these same tools on to the next generation.